ISSUE 01 features style connoisseur, Diego "Dandy" Leon, Bronx car lover, Ed Santana, author of Bronx Boys, Stephen Shames and urban revitalization strategist, Majora Carter. In this issue we aimed to lend a light to the lifestyle of people doing fascinating things within their community. ISSUE 02 features style mogul, Jerome Lamaar of 9JBX, a young powerhouse DJ, Sunny Cheeba, a look at Bronx Schools with charter school art teacher, Adam Silver and English public school teacher, Sashana Maitland, In this issue we aimed for a health-conscious and eco-friendly view of our borough. ISSUE 03 features features exclusive team interviews from the internal brass of Bronx Narratives. Analyzed the state of the North Bronx. Spoke with Mel Burgos of Rock Yo Rizos to learn about her personal style. In this issue, we aimed to give our readers a more in-depth view of who we are team-wise. Fall-ready crewneck, perfect for layering. “The Bronx Taught Me” on front, our icon on back and coordinates of borough on sleeve. Represent the borough you love with this soft high polished gold enamel pin, measured at 1 ½ inches. Unisex thick pullover hoodie. Icon centered on front, brand's name on left sleeve and our slogan on back of hoodie. 90s inspired colorful Bronx Narratives t-shirt. Brand’s name playfully designed on back and pocket on front of shirt. Exclusively sold at The Miles Coffee Bar. Community is all we got white short-sleeve t-shirt with a blended image design on front. Back of shirt is plain. Issue 02 is currently available at The Miles Coffee Bar for $25 USD. 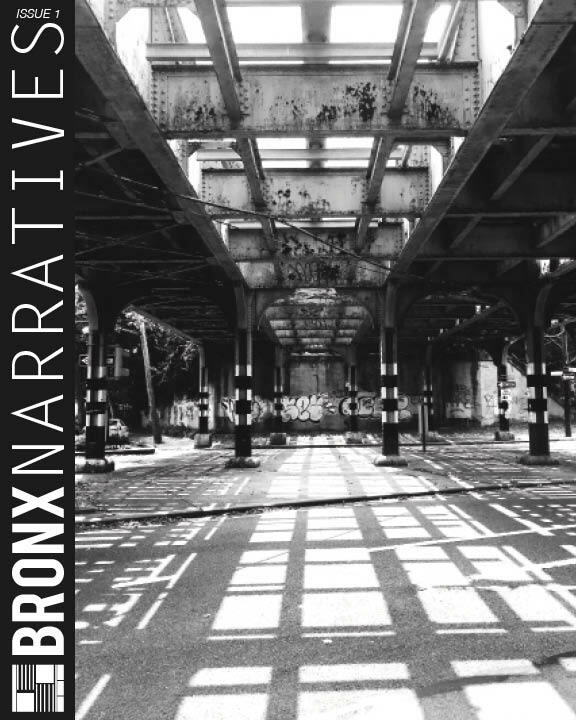 Bronx Narratives Magazine releases once a year and journals stories around the borough from the beginning to end of year.